Shannon Airport is one of the Republic of Ireland’s three main airports along with Dublin and Cork. The airport is located in Shannon and mainly serves Limerick and the mid-west of Ireland. It is approximately 24 kilometres from Limerick and 22 kilometres from Ennis. 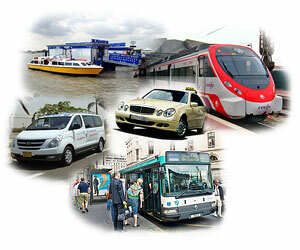 Airport transfers from Shannon Airport are available by bus, rental cars and taxis. Bus Eireann provides connections to and from all the major Irish cities. Citylink provides a service between Shannon Airport and Galway city. JJ Kavanagh & Sons provide a service between Shannon Airport, Limerick and Dublin Airport. If you like to be able to select your rental car and pre-book your Shannon car hire, you can do this through Auto Europe. The airport cab desk will organise an airport cab for you, wherever you need to get to. It is located in the arrivals hall and is open for all arriving flights. Shannon Airport offers both short term (less than 24 hours) and long term car parking. Use the National Primary Routes to or from the Airport.